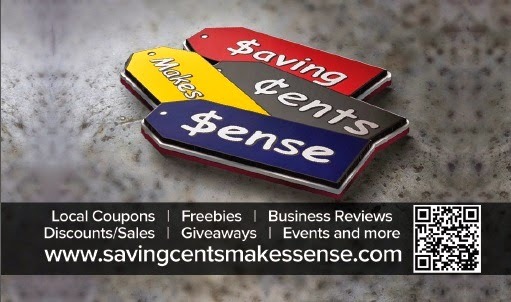 Saving Cents Makes Sense believes in Small Businesses and the difference they can make for our community. Our organization mission is focused squarely on keeping our Local families shopping Local, Eating Local, Staying Local and Saving Local. The goal is drawing more Local customer traffic to you're Business. I know With the Support of individuals, families, businesses, and organizations. We can together keep our families local. MAKE THE FIRST STEP NOW FOR YOUR BUSINESS! With 1000's of Local Followers and Website views Daily. Get your local business or Event promoted on your #1 local Website Saving Cents Makes Sense without breaking the Bank! !